Air Power Australia Analyses is Australia's first online peer reviewed scholarly journal covering air power and related topics, established in 2004. Its aim is to provide a platform for academic and professional research, analysis and discussion papers focussed on the military science aspects of modern air power and its applications. Research publications cover the areas of policy, policy reform, strategy, technological strategy and basic technology. All publications are fully peer reviewed, and APA policy is to engage two or more reviewers for each publication. Vol. V APA-2008-01 AIRCDRE E. J. Bushell AM, RAAF (Retd) Is This the Future for Australia's Military Capabilities? What Happened to the RAAF's Engineer Branch? What Happened to the RAAF's Supply Branch? Vol. II APA-2005-04 Dr Carlo Kopp and Peter Goon Can Joint Strike Fighter Survive the Quadrennial Defense Review? Editorial Board: APA policy is not to disclose editorial board membership. Air Power Australia is a non-profit entity, which is not affiliated with the Department of Defence, the Australian Defence Force or any other Commonwealth organisation. 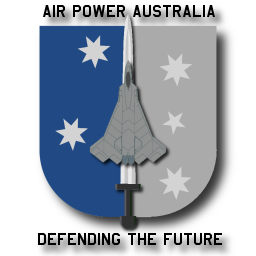 Air Power Australia is funded by its founders and contributors, and it has no funding relationships with any defence contractors, or affiliated entities.